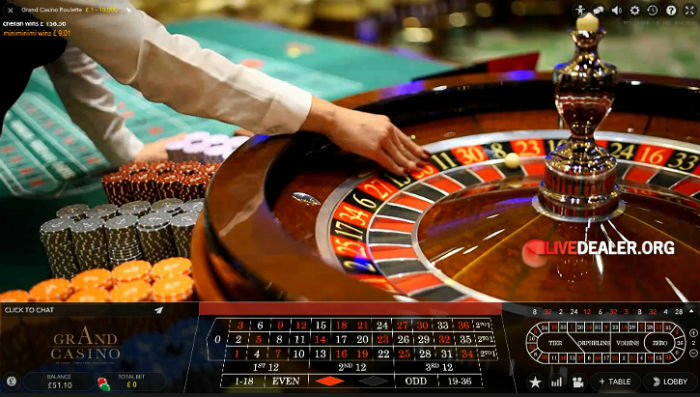 There’s an irrefutable and inconvenient truth about the game of roulette. Each new spin, and the result thereof, is an independent event that past outcomes will have absolutely no bearing on whatsoever. I prattle on about this over and over again in the roulette systems section because it plays a large part in the undoing of these systems (well their ability to win you money anyway). But here’s the thing. Sometimes caught up in the moment it’s easy to forget, or rather try and ignore this fact. Let me give you an example. One that unfortunately happens to be true to life. I open up a live roulette table, and with a modest balance ($86) decide to try my luck at a quick fire straight up win, or walk away after a handful of bets (say 10 maximum) to limit the damage. The bet is $5 on zero, for a $180 return. Before not too long, my 10 bets (and $50 invested) haven’t produced a win. Time to walk away. But, there’s something very enticing about the way Signe invites you to play the game; when she says, you’re welcome to place your bets, you do actually feel very welcome, and so against better judgement I figure I’ll try my luck with the remaining $36. 7 spins later that’s reduced to $1, at which point a thought occurs…just my luck zero will come up now! So frantically, before a zero can come up without my $5 chip on the table, I visit the cashier, deposit $100 and return to the game to find (phew!) no zeros. So back on the job, another $5 down. Then another and another and so on with Signe still making me feel extremely welcome to place my bets, and despite logic and reason telling me otherwise, a creeping belief that the longer we go on like this, the more likely that elusive zero will come up next spin. Wrong. It will eventually of course, but not before my freshly deposited $100 is gone, by which time zero is well and truly the coldest number on the table.